After taking a stroll down the 'Walk of Fame' last summer, Brooklyn Projects is ready to unveil their latest collaboration with Nike Skateboarding. Previewed in the teaser shot below is what appears to be a new SB Dunk High, featuring flash bulb graphics on the toebox and side panels. Could the panels be 3M reflective? 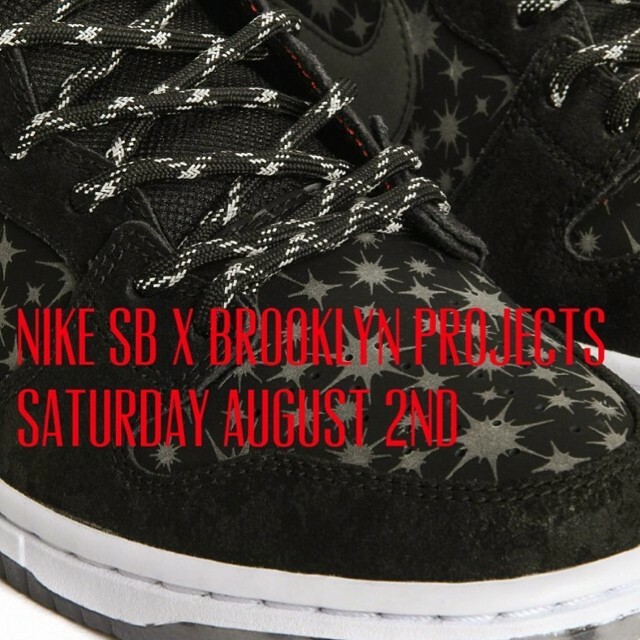 We'll find out when Brooklyn Projects drops the full photo set. According to the retail, you can expect a launch on Saturday, August 2. More details coming to Sole Collector soon.